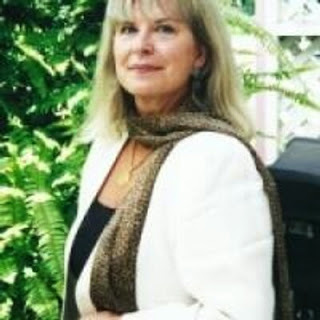 Dianne Harmon knows how to write a cozy mystery! Once again all it took was one sitting--it kept me that involved!! And of course at the end are all those mouth watering recipes that are served at the Red Cedar Spa, a couple of which Mike was helping prepare before as he was driving home his car went over a cliff. Was this an accident or was it murder? And why would anyone want to murder Mike? There are really a lot of different suspects and since the good Sheriff of this town is absolutely no good at solving anything-Liz decides to take it on herself again. You are going to love how Brandy Boy, a St. Bernard, who sleeps almost constantly, wakes up when he hears bells ringing to deliver a tiny bit of Brandy to the clients--becomes the ultimate hero of this novel. Of course Winston, the boxer who was bought as a present for Liz and is a trained protector plays his part too!! This looks like an interesting read. Sounds like dog lovers would like it too. Thanks for the review! Poor Mike. I'm sorry to hear his cooking got interrupted. ;) I am curious about those recipes!! Well I would be a fan since its about a dog being a hero. Lol! I love dogs and this book is a pretty interesting read. Thanks for this! Thanks for highlighting and for your review! I am always after that next interesting read and will have to check this out further! Ok that really does sound cute, and I love how there are recipes included as well. It totally sounds worth picking up! This sounds like an interesting book that I would love to read! Thank you for another great book review! Sounds like a good story, especially since it is about a dog (or at least a major part of the story is). Thanks for the info! I love cozy mystery books! Do I have to read them in order? This sounds so cute! a dog book, nice :) do you have to read them in order preferably? 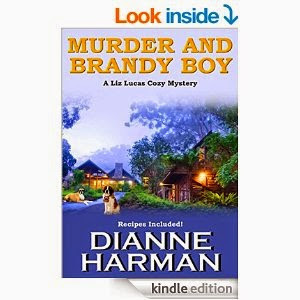 You introduced me to the term cozy mystery and I like Brandy Boy already. Dog heros are fantastic! Well, any book that has fun loving animals as the hero gets my vote! I am also the mama to a few boxers, so this book really intrigues me! This one sounds like another great read. I will be checking this one out. This sounds great! I love mysteries, I would not want to put it down. Sounds like a really good book. Love a great murder mystery. I am always looking for a new and interesting book to read! Thank you so much for sharing this with us! Sounds like A Great mystery, and any book that has the recipes in the back to make at home is the icing on the cake! Someone asked me what the last book I read was over the weekend. It reminded me how long it's been. Ahhh. This sounds like a great one to pick up. Love a good mystery and how fun that this novel also includes delicious recipes. I am intrigued and would love to know how the St Bernard becomes the hero! I love a suspenseful mystery. I also really like the fact that they included a pet along with the main character. After all, pets usually become a big part of every family. I love reading mystery books. Sounds like a great book to read. Thanks for sharing. Another great review, Miki! This sounds like a great read! I always love a murder mystery story. This one looks intense to follow and discover if it was an accident or a murder and who is the perpetrator. Though I am not familiar with the author the book does sound like an interesting read and I do a love a good murder mystery. Thanks for the review! Looks like it's a fun read. Murder mysteries are always quick reads because you want to find out what's happening next. Sounds intriguing! adding it to my list! Thank you for the book recommendation! I am always looking for new authors to read. I love a good murder mystery. And, I just love it when books share recipes that were used in the storyline. What an intriguing book. I cant imagine who would want to kill such a young girl! Ooo I'm always up for high school-based thrillers. I bet this one is a mystery that unfolds bit by bit and keeps you reading. This book looks like a very interesting read. I bet it would keep my attention from the beginning - that's an important factor for me! I swear you always have the best books on here! Another one I'm going to have to add to my summer reading list! that looks like a really interesting book. i'll be riding in a car for 30 hours so i need new things to read. Now if you knew me well you'd know that reading puts me to sleep if it's not in the category that I like, which is mythology, fantasy, witches & goblins but no blood and gore. YUK Oh and ghosts I like a good ghost book. Love stories and who dunnit is a yawner for me. Sorry. You do a great review though I must say! Sounds like a wonderful mystery to be solved which is my favorite type of book to read. I love a good one that is even hard for mt to figure it out can't wait to read it!